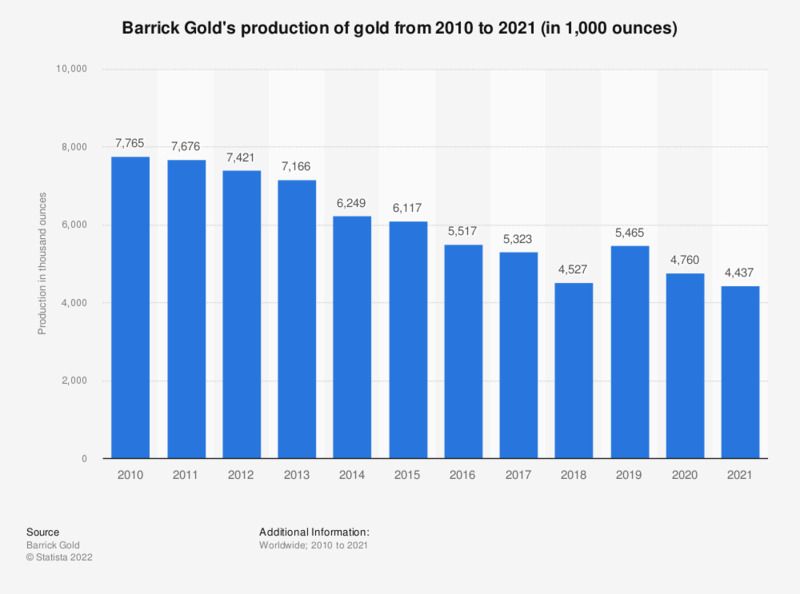 This statistic shows the gold production of Barrick Gold from 2008 to 2018, measured in thousand ounces. Barrick is a Canada-based company and is momentary the largest pure gold mining company worldwide. In 2018, Barrick produced some 4.53 million ounces of gold.